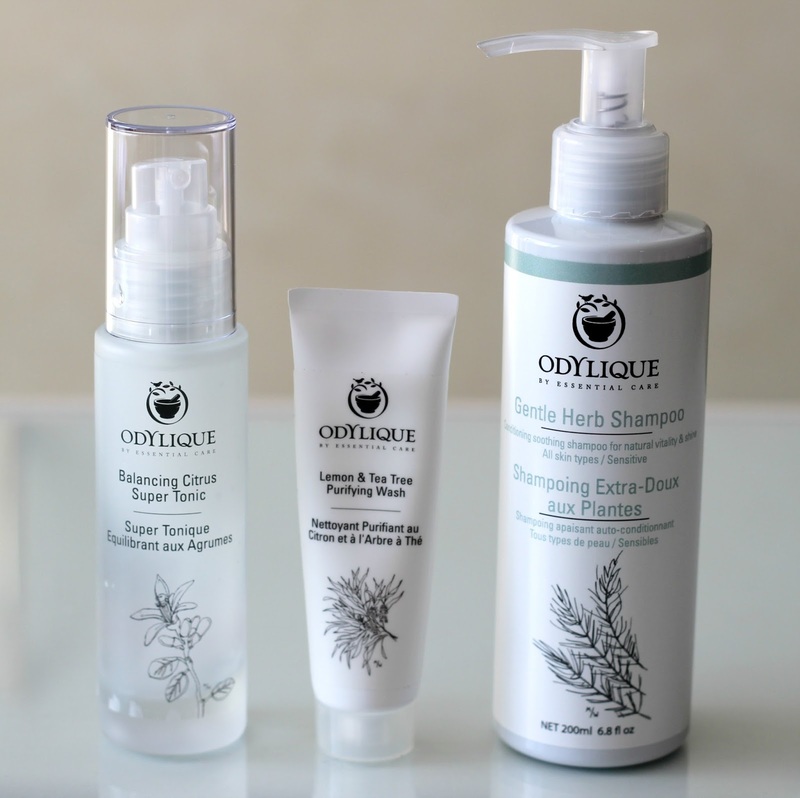 Odylique Organic Skin and Hair Care | Review + Giveaway! 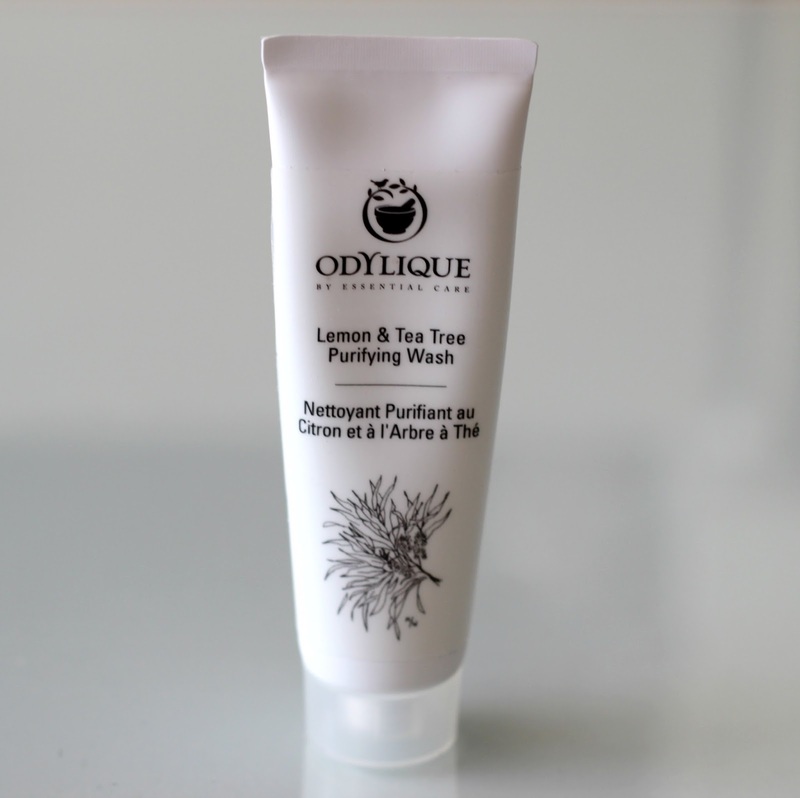 Odylique is one of those natural brands that I would often hear about, especially from UK beauty bloggers and vloggers. I believe I may have even taken a peek at their products online after seeing them on social media a few years ago, but when I found out they were based across the pond, I knew the shipping rates could not justify a purchase. Lo and behold, I was recently informed by the brand that they have launched a website in North America - you can imagine how delighted I was to hear this! To top it off, they also asked me if I would like to give some of their products a try, namely their Balancing Citrus Super Tonic*, Lemon & Tea Tree Purifying Wash* and Gentle Herb Shampoo* which I have been testing out for the last month. Better yet, one of my lucky readers will also have the chance to discover this wonderful line, so if you would like to enter the giveaway, just keep reading! A pioneer in the modern natural beauty industry, Odylique was founded 30 years ago by Margaret, an aromatherapy and herbal medicine expert. The company remains a family-owned business, with all of their products being made in their very own workshop in Suffolk, England. Free of synthetical chemicals and other common allergens such as dairy, wheat, soya, salicylic acid, lanolin and tree nuts, their products were formulated with the most sensitive skin in mind, containing a plethora of certified organic and ultra-soothing ingredients. The brand is also certified cruelty free, with many of their products being vegan, including the ones I am featuring here today. Little did I know that this line also happens to be a celebrity favourite, being well-loved by the likes of Amanda Seyfried and celebrity makeup artist Lisa Eldridge. I've been keeping the Lemon & Tea Tree Purifying Wash (US$35.00, 200 mL or 6.8 fl. oz) in my shower to deep cleanse my skin with a new device I've also been testing out (but more on that in a future post). Even on its own, this cleanser does an excellent job at removing my makeup and other impurities, although I still make sure to avoid my eye area. If you deal with breakouts like me, this gel is ideal as it contains tea tree which is antibacterial as well as virgin olive, lemon, aloe juice and melaleuca, among other plant extracts that will help detoxify and rehydrate your skin. Worth mentioning too is that the scent is very invigorating without being overly citrusy. Love! 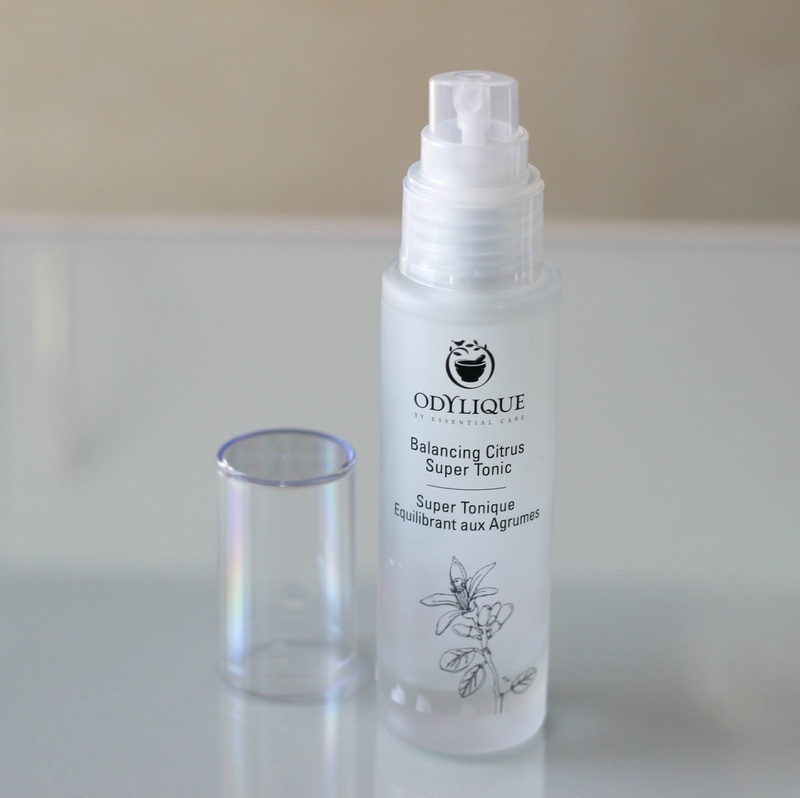 One of my absolute favourite products to use is facial mist, hence the Balancing Citrus Super Tonic (US$29.00, 50 mL or 1.69 fl. oz) was one of my top picks. A toner to balance serum production made from distilled rosewater and essential oils such as calendula, bergamot, lemon, sweet orange and ylang ylang extracts, this tonic also doubles as a nice refresher throughout the day. It is suitable for all skin types and will not only hydrate but also improve your skin's texture. The citrus scent is quite strong, but I personally really enjoy it as I find it really boosts my energy, especially in the morning. 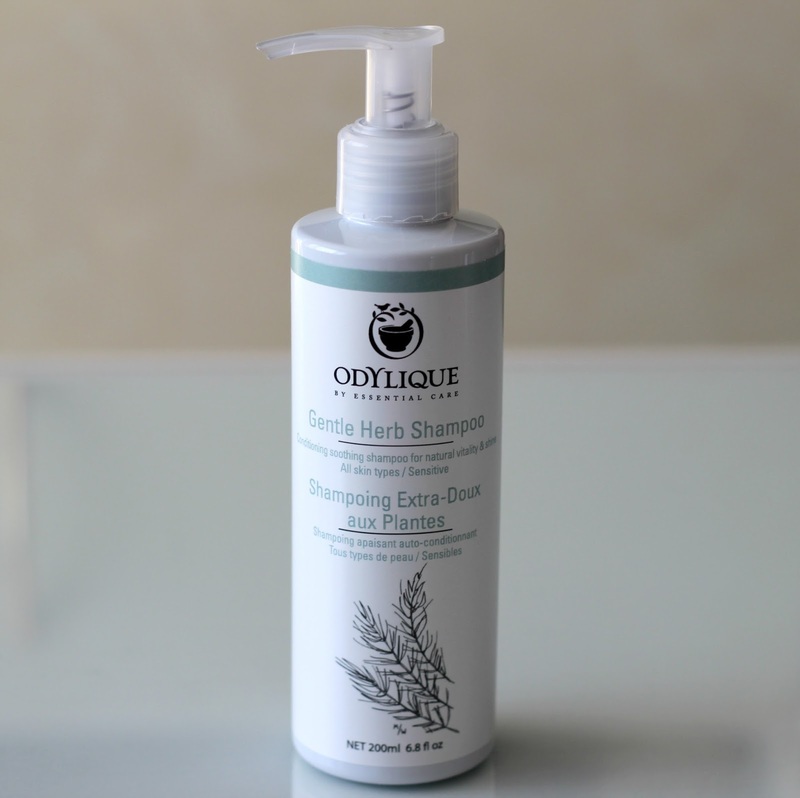 Last but not least, the most intriguing of the bunch: the Gentle Herb Shampoo (US$20.00, 200 mL or 6.8 fl. oz). I was looking for the accompanying conditioner on their website, but it wasn't to be found. How come? Well, their shampoos are very conditioning, so no need for an extra step! I've never tried anything similar in the natural beauty world, so this has been a treat to try. Best part, it actually works wonders! Made with aloe vera juice, coconut, corn, chamomile, nettle, rosemary, sunflower and sugar cane, this all-in-one hair wash makes my hair soft and shiny. I just apply the shampoo from root to tip, massage my scalp, let the product sit for 2-3 minutes to reap its full benefits and make sure to properly rinse it out to enjoy bouncy, voluminous hair. As you may be guessing, I pretty much adore everything I've been trying out! These products have really helped my skin calm down and my hair is looking and feeling healthier than ever. Odylique was kind enough to share a 10% off + free shipping discount code with my readers as well - simply use code NJ10 at checkout to save! This offer is valid until April 30th, 2016. And now for the giveaway! You could win an Odylique Selection Box worth $48.00 which includes beauty editor and blogger top picks. See here for everything that is included! To enter, simply fill out the box below (or click here if you have trouble viewing on mobile) - the more entries you complete, the greater your chances of winning. Please note that this giveaway is open to Canada/US residents only. Good luck! I've never actually heard of this brand before but I'm intrigued. I'm always looking for brands that use natural ingredients and work really well. 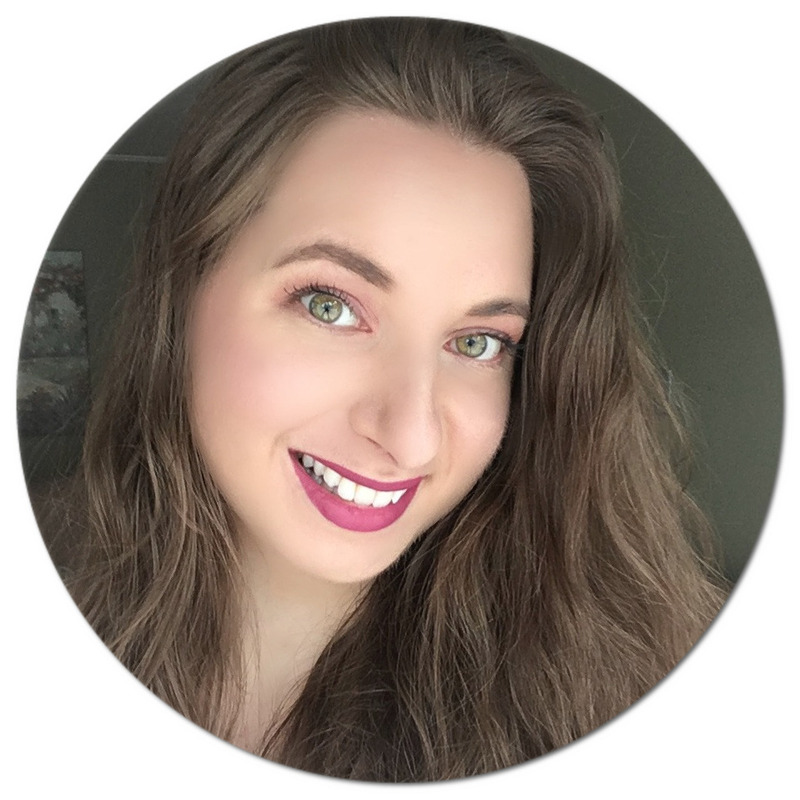 I'd love to try out the products you featured here too as I loooove citrus scents. I love that the line is all natural & free of synthetical chemicals and other common allergens such as dairy, wheat, soya, salicylic acid, lanolin and tree nuts - as I have allergy issues! I've never heard of this brand before but I really like the fact that it's natural and organic. I like that the products are suitable for sensitive skin. I like that the company remains a family-owned business, with all of their products being made in their very own workshop in Suffolk, England. I like that this brand is cruelty-free, vegan and free of synthetic chemicals and other common allergens. I like that their products are free from ingredients like artificial fragrance, parabens, SLeS, petroleum and mineral oil. I like that Odylique doesn't use synthetic ingredients.